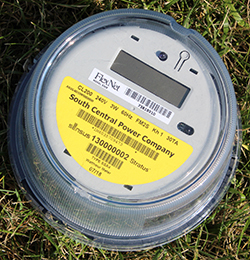 South Central Power members will receive new, upgraded meters over the next several years. The meters, which are installed at no charge to the member, will improve our meter-reading capabilities and provide more detailed information about power use to our members. Upgrades will be performed by South Central Power’s contractor Allegiant Utility Services. 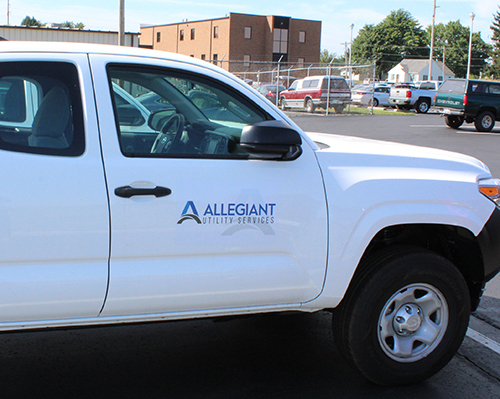 Allegiant vehicles will be marked as contractors for South Central Power, and their meter technicians will carry company identification. Please note that the contractor will not need access to the inside of your home, just the meter which is usually on the outside. South Central Power serves more than 118,000 meters in 24 counties, so we are rolling out the new meters in a multi-year, phased approach. As areas are scheduled for upgrades, members will receive an automated phone call from South Central Power informing them of the upcoming service. Power will be disconnected for a short time so that Allegiant can safely install the meter. Members in and around Fairfield County will be the first to receive new meters in 2018. Starting in 2019 and 2020, meters will be deployed in other parts of our service territory. If you have questions, please call us at 800-282-5064.